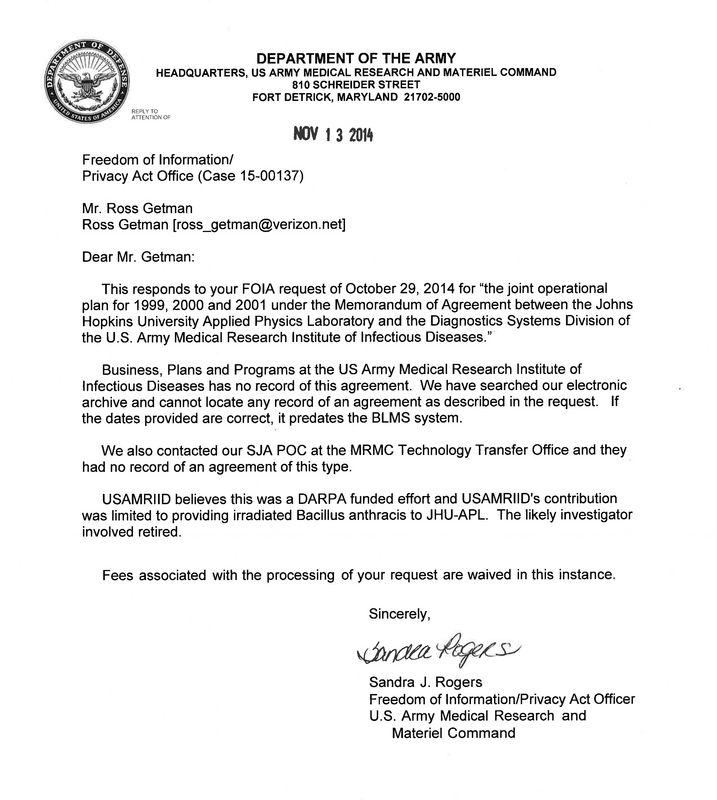 2014 November « CASE CLOSED … what really happened in the 2001 anthrax attacks? 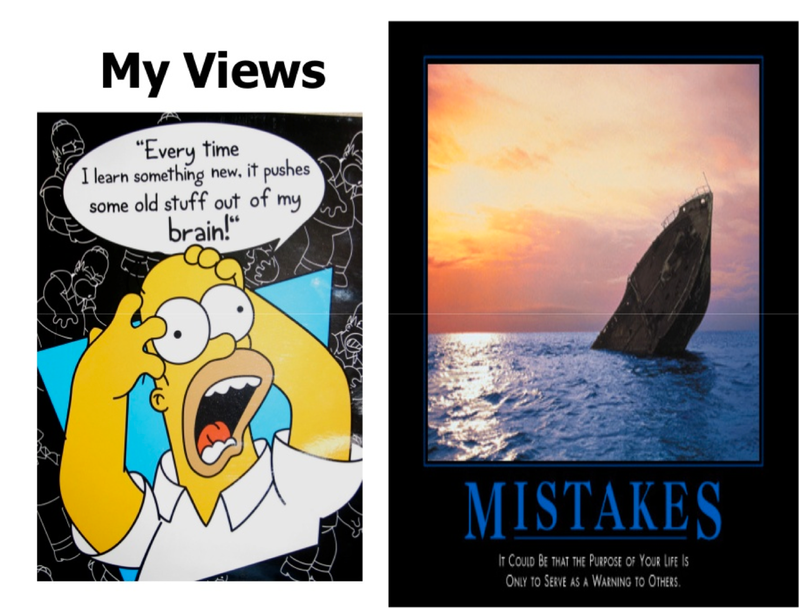 * DXer said … The FBI’s narrative will never withstand the production of emails of John Ezzell, James Burans and David Wilson … how will the GAO report deal with these documents? The FBI’s narrative will never withstand the production of emails of John Ezzell, James Burans and David Wilson. The FBI needs to give an answer consistent with what documents eventually produced will establish. And if the answer is: We don’t know who mailed and processed the anthrax but we ask the country’s indulgence while we close the case and move on to many other pressing matters, so be it. I think it’s unlikely (although possible despite the largest investigation in the history of the FBI) that the FBI simply hasn’t solved the case and doesn’t know who do it. I think it’s also unlikely that they have more evidence which would actually make the case against Dr. Ivins. If they do, what possible reason is there for not making such information public? but they won’t tell the American people. * It has now been 13 years since the 2001 anthrax attacks. The GAO report promised for “this fall” is probably the last chance we will ever have to know the truth. The FBI case against Bruce Ivins would be a joke, if it wasn’t so serious. Every element of proof the FBI has offered to support its 2008 assertion that Ivins was the sole perpetrator (or even involved) in the 2001 anthrax attacks has been thoroughly demolished in this blog. 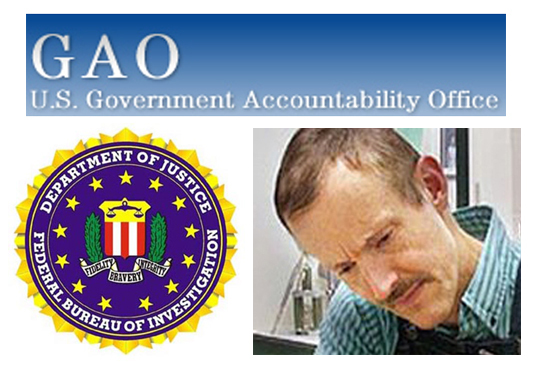 GAO has promised to report “sometime this fall” on its review of the FBI investigation. Let’s hope they keep that promise. The GAO report is probably the last chance we will ever have to know the truth. 1. The FBI has more evidence against Ivins that has not been released. 2. The FBI does not know who committed the 2001 anthrax attacks. 3. The FBI does know but are not willing to say. It has now been 13 years since the 2001 anthrax attacks. The American people deserve to know the truth. GAO in its forthcoming report should pick up where this blog has now left off and chronicle Rauf Ahmad’s participation at the 1999 and 2000 conferences, to include producing the full copies of Rauf Ahmad’s authored presentations and video of the presentations. 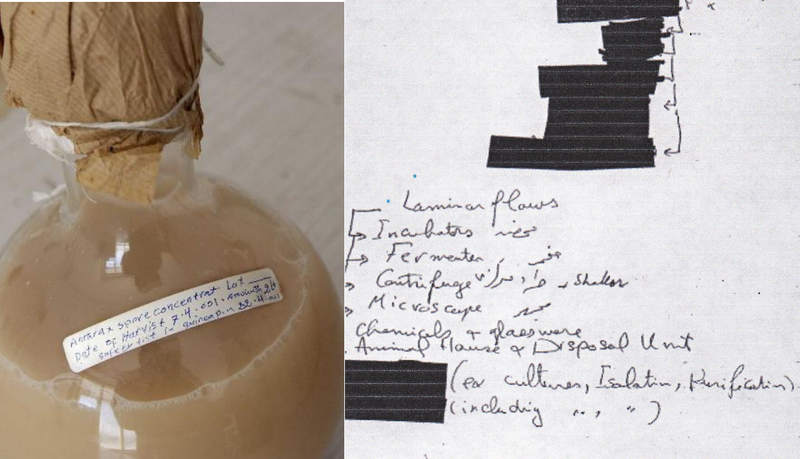 In 2000, MI5 stopped Rauf Ahmad leaving the Dangerous Pathogens 2000 conference with samples. But in 1999, Rauf Ahmad had already visited a lab with thousands of samples, and was given B3 training before being permitted access. A sharp female CIA analyst in December 2001 noticed the Rauf Ahmad correspondence with Zawahiri that had been seized in Afghanistan. 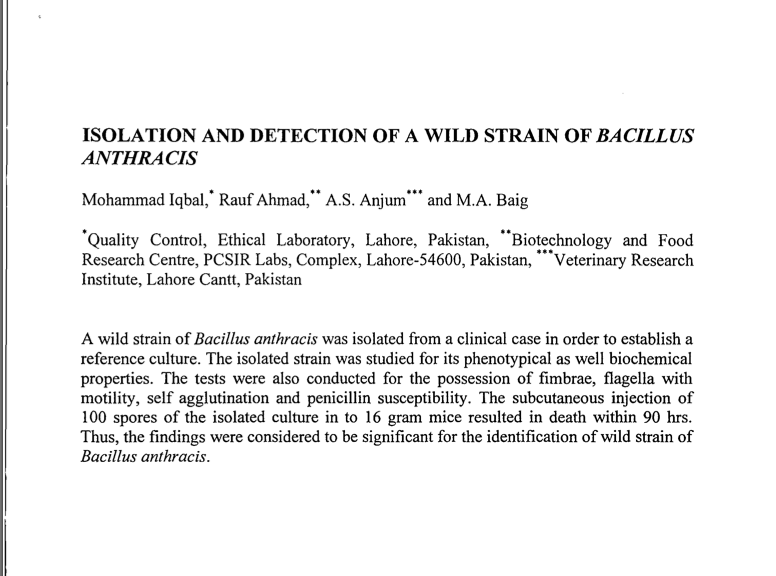 And so the question is: What strains did Rauf Ahmad obtain in 1999? He was stopped by MI5 with the samples in his luggage only in 2000 — he had already succeeded in 1999 upon his visit to the second lab. If the FBI were to disclose who gave Rauf Ahmad the samples in 2000, we might learn the identity of the lab he visited in 1999 for the purpose of getting samples. And then consider whether that lab had virulent Ames. 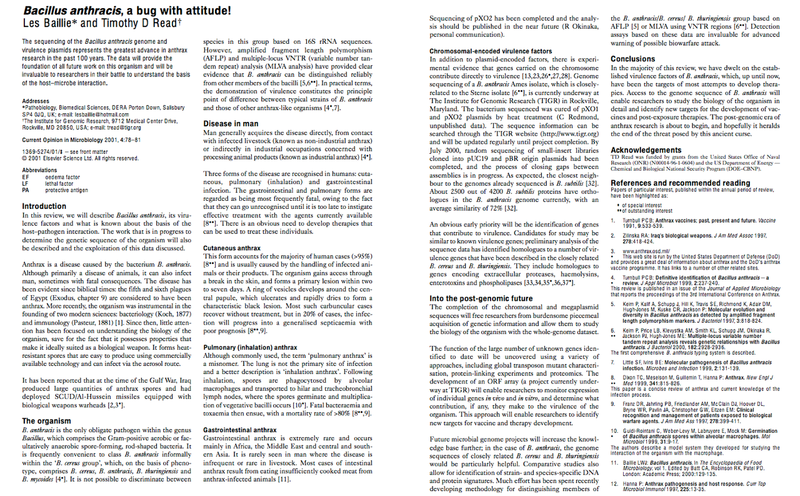 * The FBI has known since 2001 that a paper at the 2000 UK conference chaired by the lone non-US Amerithrax advisor Les Baillie, explained how Al Qaeda’s anthrax lab scientist Rauf Ahmad had killed mice with 100 injected spores. 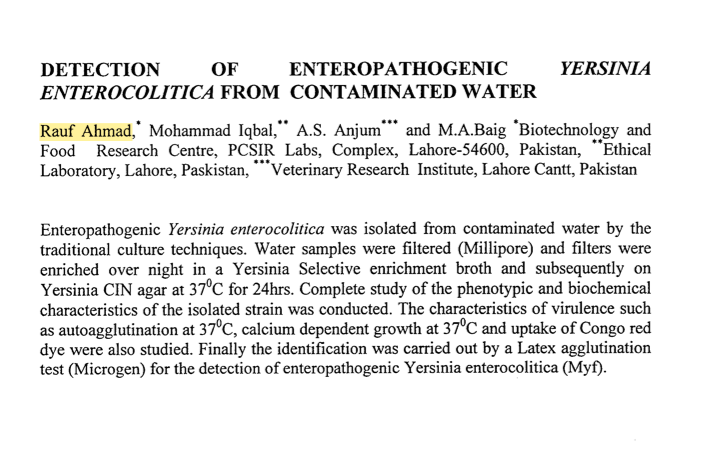 * At the Porton Down-sponsored Dangerous Pathogens 2000 Conference, Dr. Zawahiri’s infiltrating scientist Rauf Ahmad, in addition to presenting on the isolation of Bacillus Anthracis, presented on the detection of bacterial contamination in water.